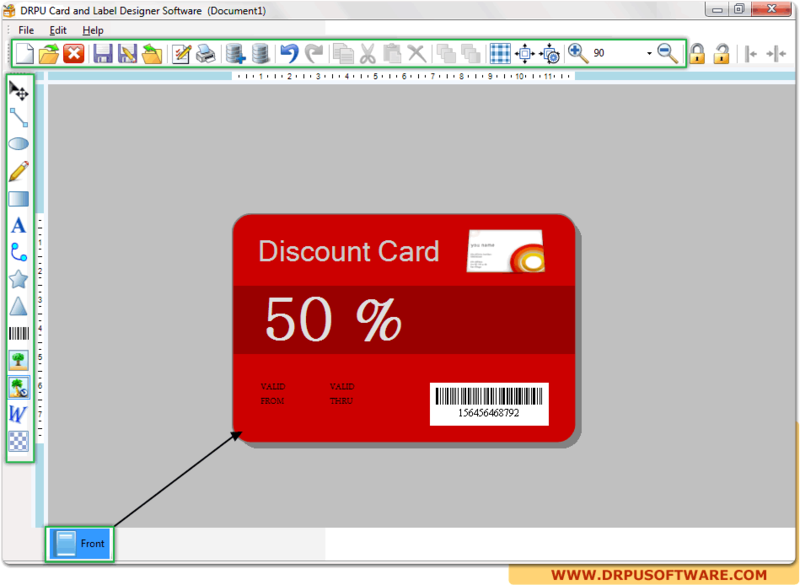 Card and Label Designing Software design cards and labels suitable for common business and personal needs. Card designer software design cards and labels with use of advance image designing objects including Line, Ellipse, Pencil, Rectangle, Text, Barcode, Picture, Arc, Triangle and Star objects. Software print designed labels and cards with support to major card printers as well as general printers using advance printing capabilities. Card designing program is capable to design custom style business ID cards, Greeting cards, Visiting cards, Address labels, Clothing labels, Mailing labels, Business labels, tags, Badges and stickers. Design and create labels and cards using different image designing tools. Design new label or edit existing labels. Design and create cards and labels in Rectangle, Rounded Rectangle or Ellipse shapes. Design colorful and customized cards and labels as per need. Generate the multiple copies of labels with different barcode and text value. Design labels using Linear and 2D barcode fonts.